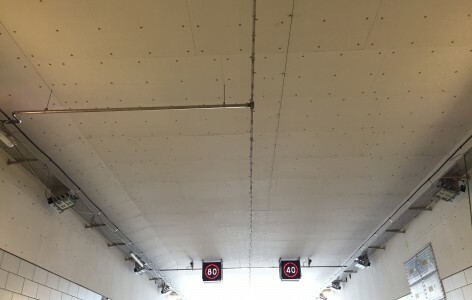 The VID Fire-Kill TUNPROTEC system is a full active fire protection system for the protection of infrastructure tunnels. The system includes fire detection, pipes, nozzles, valves and pump units, and local control system easily integrated to any SCADA system. The TUNPROTEC system has been designed to be highly reliable, simple to operate, easy and fast to install and commission, requiring low requirements to maintenance and to be the most customer and installer friendly product on the market as the system is supplied tested and ready for on-site installation through a modular system approach. To read more about the TUNPROTEC System, please visit its dedicated website here. The TUNPROTEC system has been tested with full scale tunnel fires as a part of the EU UPTUN project for investigation available posibilities for upgrading existing tunnels. 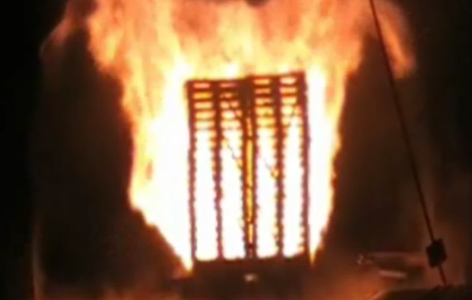 In these tests the TUNPROTEC system was subjected to solid fuel fires of sizes 6 MW to 25 MW. Additionally, the VID Fire-Kill TUNPROTEC system was full scale tested in 2009 by SINTEF NBL in full scale fires in the 1.8 km long Runehamar roadtunnel with diesel oil pool and solid fuel fires of 25 MW to 100 MW. The TUNPROTEC system is designed to protect rail, road and other such infrastructure tunnels and with the flexible design of the TUNPROTEC, the system can easily be utilized in both new tunnels as well as existing. Having conducted tests to 100MW ensures that it can protect full burning HGVs found in road tunnels, full burning open freight wagons with Lorries found in rail tunnels or full burning multiple carriages found in metro tunnels. – Easily installed in new as well as existing tunnels. – One single pipe system protecting tunnels with up to 12m width giving fast and cheap installations. – Large system orifices reducing posibility of clogging and ensuring robustness. – Low water pressures reducing power consumption. – Low water flows reducing not only reservoir size but also drain system capacity needs. • Temperature reduction to less than 50° C in the vicinity of the fire. • Removing back layer with as little as 2m/s one directional ventilation. • Full control and suppression of all fire scenarios.